If you install archlinux on an external hard drive, and want to access it directly without having to reboot. You can boot it using VirtualBox. Usually when you create contents from virtualbox you need create virtual harddisk image first then install/boot from the virtual harddisk image. However, the VirtualBox also capable for booting from real harddrive or physical drive. 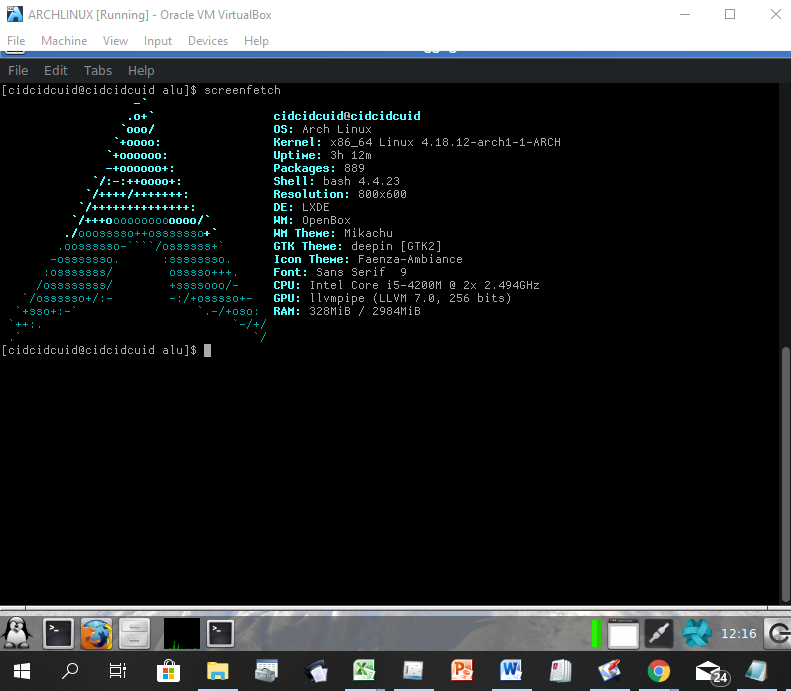 Before booting archlinux (installed on physical drive) from virtualbox. You must find the partition number of hard drive / physical drive. See the white bolded text, for this example, the physical disk number is "1". 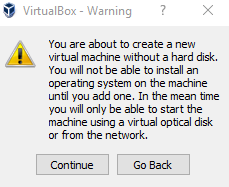 Before connecting the real hard drive into VBox, you need to create Virtual Machines first. Run The Oracle VM VirtualBox Manager then click New. Type Archlinux on the name, it will automaticly switch to archlinux. 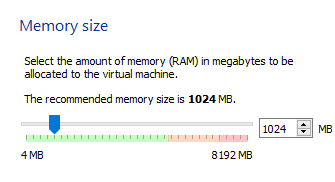 Then next, set the memory size, set or define the ram as you wish, but not exceded to red area. 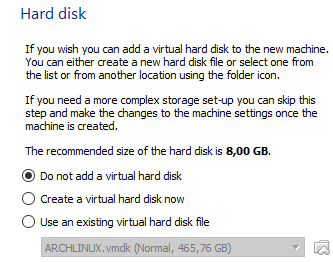 Then next, choose "Do not add a virtual hard disk". Then click create, click continue when "Warning" Messages appear. 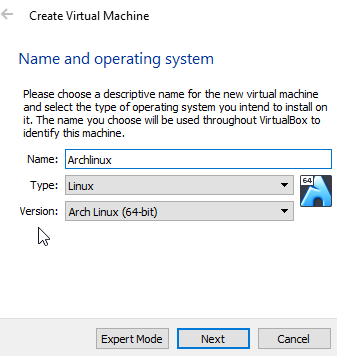 Now Archlinux is listed on Oracle VM Vbox Manager. Make sure you running cmd as administrator. 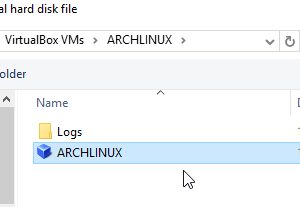 When done, go to Virtualbox Manager, click on Archlinux machines, then go to settings, then open storage. 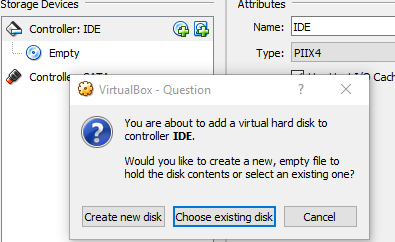 on the controller IDE, choose add partition, choose existisng disk. Then click OK. Now you can boot archlinux from physical drive / hard drive. Ok that's about how to boot a hard disk that has archlinux installed using VirtualBox VM in Windows OS.